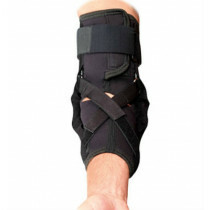 Provides patella stabilization with J buttress/strap design. 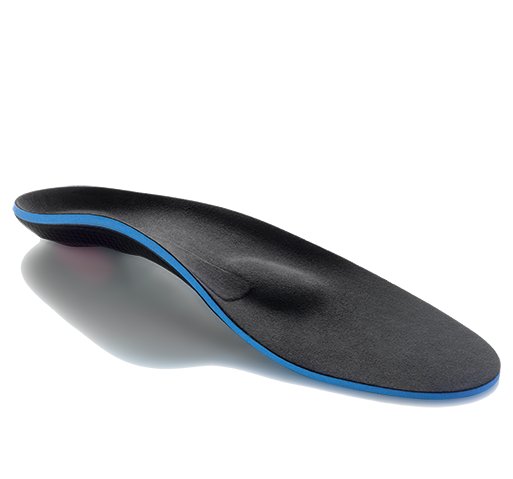 Reduces pain associated with poor patella tracking. Available in Neoprene or breathable Drytex. The Donjoy Lateral J Knee Brace helps improve patella tracking and reduce mild pain associated with patellar subluxation, dislocations or lateral patellofemoral malalignment. The patella tracker's tubular buttress insert and bifurcated tension strap direct forces medially providing inferior and lateral patella stabilization. Tracking is improved and stress on the underside of the kneecap is reduced with activities like walking or climbing stairs. The Donjoy Lateral J knee brace without hinge is often used to treat chondromalacia, patella tracking conditions, subluxations/dislocations, and overall alignment of the patellofemoral joint. The product has spiral stays on the sides to help it maintain its shape and not roll down on the sides. It's available in standard Neoprene or breathable Drytex material for use in warmer climates. Tubular lateral "J" buttress for patellar stabilization. Lateral to medial strapping for additional stabilization. Two versions to choose from: 4mm Neoprene for heat and compression or Drytex material for patients with allergies or irritations to neoprene. Drytex breathes better; excellent for warmer climates. Available in left or right configuration. Can be hand-washed (cold water with mild soap) and line dry (avoid dryer). Six sizes available for a perfect fit. Standard 4mm neoprene material or polyester/nylon based Drytex material. Just like the one we got from therapy that cost a $100's more! Fits well, great price! Can't ask for more! I bought this about 7 months ago because my knee cap is very loose and tends to sublux easily. I didn't have surgery and tried some other braces from McDavid and Mueller but didn't find them to be supportive enough with my running. I was able to get the J buttress to scoot in tight right next to the lateral side of my knee cap and provide control and peace of mind. I used my Lateral J knee brace whenever I play basketball or go on runs - I'm still careful but much less cautious with the brace. It's a good brace in terms of support. I found the seam in the back starting to irritate my skin after wearing for more than two hours. You might have better results. After dislocating my knee cap while surfing, I wore another brace that was difficult for me to move in, more restrictive. This is the most comfortable brace I've ever worn, and I'm able to go to physical therapy and participate in exercise without fearing my kneecap is going to dislocate again. Thankyou! I got the Drytex version because I use this primarily for triathlons here in Arizona was it's terribly hot. The Drytex material is comfortable and breathes well. 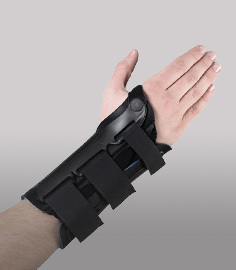 The buttress design is durable so that you can really pull on the straps to get the patella to feel stabilized without fearing that they'll rip out of place. This is my second Lateral J from Donjoy and they work pretty well for my needs. I have chondromalacia and I have spent hundreds of dollars on knee braces. This one is the best. It keeps my patella in the right place without a lot of complicated adjustments. The drytex fabric breathes so I can wear it a long time without sweating.